Using practical career strategy early on can help your kid to avoid just blindly picking one of six careers he’s heard about on TV. It can help him start moving purposefully toward a career he’ll excel at and love, and toward a solid, stable financial future. 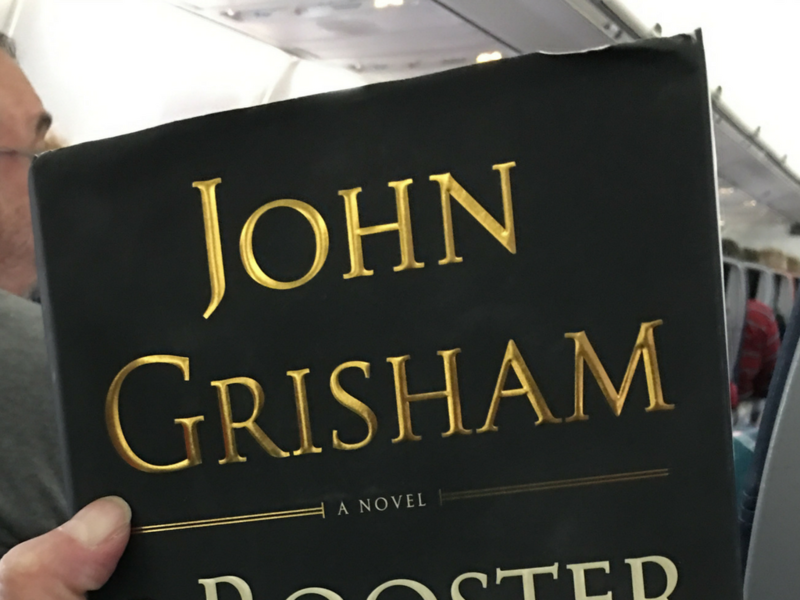 If you’ve got a kid who’s considering law school, get John Grisham’s book The Rooster Bar now. Don’t wait. Read it yourself, and then ask your child to read it. Schedule a beach vacation for the two of you if that’s what it takes to get him or her to read it. *Note: The Rooster Bar contains adult themes not suitable for every reader. Discretion is advised. You can read the shocking Atlantic article that inspired John Grisham to write The Rooster Bar here. If your child already has student loan debt, I provide valuable, free, step-by-step help with it here. In addition, check out this article by my friend The Student Loan Hero. It’s about three lawyers who dug themselves out of 6-figure student loan debt, and while it’s encouraging and inspiring, it also issues a shocking wake-up call to anyone who thinks that paying off law school debt is going to be easy. Full disclosure: In the consulting work that is my day job, I do help some students apply to law school. 1. I make certain that the student is an ideal fit for a career that absolutely requires law school. I do all I can to prevent my clients from attending law school first and then thinking about a career plan after that. 2. I strategize carefully how to get the student a real, high-quality law degree with the least possible amount of student loan debt. Here’s one way students I consult with are able to accomplish that. These days, I spend far more time talking students out of applying to law school than I do helping them get into it. Before a kid you love applies to law school, have him or her read this @JohnGrisham #novel. The accurate story Grisham weaves about the horrors of #lawschool #studentloandebt make for some of the scariest, most suspenseful reading ever…. Remember, the very best way to keep grad school debt low is to help your kids finish undergrad debt-free. And if your child’s already well past middle school? That’s OK; you can run to catch up. 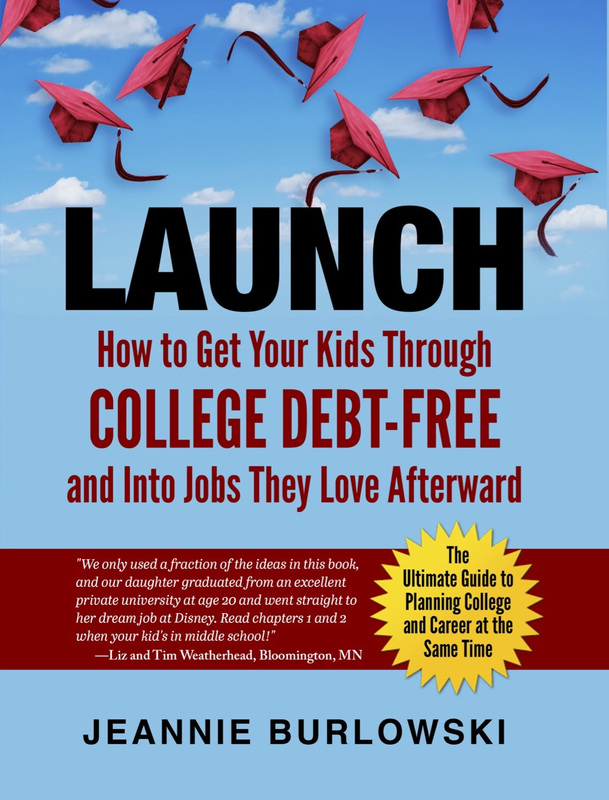 But the process of getting your kids through college debt-free goes more smoothly the earlier you start it–especially if you’re not planning to save up any money to pay for college. Do you have friends who are parenting kids ages 12–29? What about you? What has your experience with law school and law school debt been like? Have any of the resources I mentioned in this article helped you? Comment below or LIKE Jeannie Burlowski Author on Facebook, find this post on that page, and let’s talk about it there.